The first mistake of the vulture was to leave Israeli airspace. Its second mistake was breaking Saudi Arabia’s no-fly zone. The massive rare griffon vulture, with a wingspan of 8 feet 8 inches, is a very impressive bird, and that great size is what caught the attention of the local people in Saudi Arabia, who captured the bird. Upon closer examination, the locals grew suspicious and turned the bird over to authorities, who promptly incarcerated it for espionage. A spying vulture? 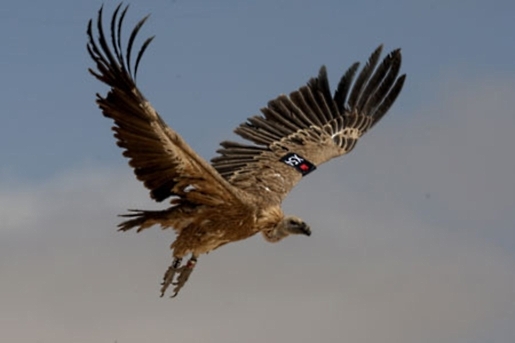 The rare griffon vulture was arrested by Saudi officials after it was accused of being a spy for the Mossad, Israel’s intelligence forces. The reason the bird was accused of spying? It was wearing a GPS tracking unit and tag from Israel’s Tel Aviv University. Try telling that to the Saudis, who believe the bird is part of a convoluted conspiracy to spy on their nation using big, dumb, poop machines. Then again, these aren’t a very smart or logical people. They’re the folks that want to kill a TV psychic, have tried to ban the Blackberry phone because they can’t eavesdrop on Blackberry messages, and who had a guy paralyzed by judicial order. Arresting a vulture for spying is crazy, but it’s not really out of character.